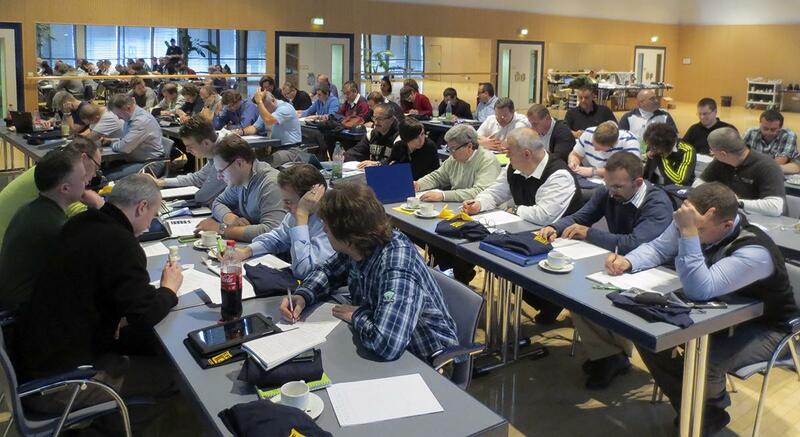 The EFAF Officiating Committee Clinic 2013 was held in Frankfurt am Main, at the Sportschule Landessportbund Hessen, with the attendance of 50 officials from several European countries, as well one American official invited to the Clinic, Crystal Nichols. She also acted as clinician and participated actively during the other presentations. Other clinicians were Ralph Lenoire, Marteen de Boer, Sebastiaan de Gruyter, Mats Schwieger, Raymond Fouillet, Stefan Plonka, Jose Rebes and Michael Smith.